Four gentlemen and one great great broad … Big Brother … and the Holding Company. Gonna sing to ya now. And that’s exactly what they do. Almost 40 minutes later, a powerhouse version of Big Mama Thornton’s Ball and Chain closes with a jolt, the crowd cheers, announcer wishes everyone goodnight, you’re exhausted … and you just want to go through it all again. Some 45 years later, the affect is exactly the same. Right at the heart of the album is a searing performance of passion and fury – Piece Of My Heart. The Songwriters – Ragovoy & Berns. It was written by Jerry Ragovoy & Bert Berns who also together penned Cry Baby, a later hit for Joplin. Individually both Ragavoy and Bert had significant impact on the music industry. Ragovoy penned a couple of other songs covered by Janis Joplin – Try (Just A Little Bit Harder), Get It While You Can, My Baby – he also co-wrote Time Is On My Side which became the first “Top 10” hit for The Rolling Stones in the US. Berns died in 1967, aged just 38. Piece Of My Heart was one of his last compositions. Despite his short time with us, his writing credits are impressive and include Twist and Shout (with Phil Medley), Everybody Needs Somebody To Love, and Here Comes The Night … and so are his producing efforts with, amongst others Brown Eyed Girl (Van Morrison) and Under The Boardwalk (The Drifters). What connects Piece Of My Heart and New Speedway Boogie? In the days before Big Brother & The Holding Company or The Grateful Dead, Peter Albin – Big Brother’s bassist – played with Grateful Dead founders Jerry Garcia, Robert Hunter, and Ron “Pigpen” McKernan. 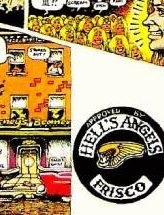 Accepting that New Speedway Boogie is about Altamont, there is a connection through the San Francisco chapter of the Hell’s Angels who stamped Cheap Thrills with their insignia. 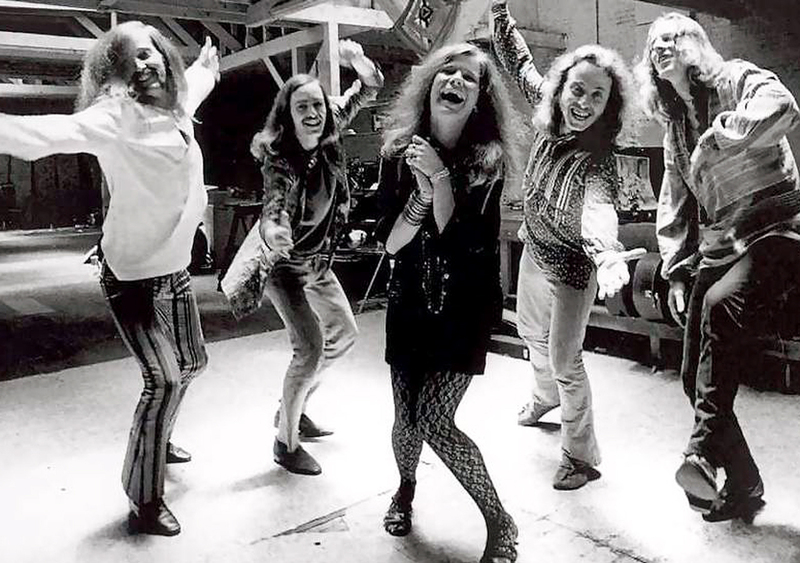 – Janis Joplin & The Kozmic Blues Band Frankfurt 1969. – Dusty Springfield who recorded the song in 1968. – Vanessa Amorosi recorded in 2010. – Faith Hill who recorded it in 1993. – Erma Franklin who originally recorded the song in 1967. – Company of Thieves live from Daryl’s House 2009. – Joss Stone & Beverly Knight. * Interview with Laura Joplin, Janis’ younger sister. This is from 2003. * Official Janis Joplin Website. * Janis (1h 36m 44s) -1974 documentary directed by Howard Alk with assistance from Albert Grossman. It seems YouTube have taken this video down. 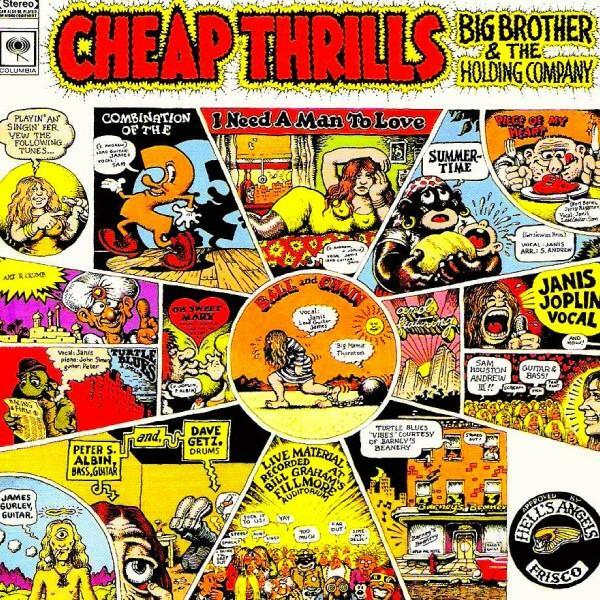 * Robert Crumb website – Crumb drew the Cheap Thrills album cover in a single overnight drawing session. North: Hesitation Blues by Hot Tuna. East: New Speedway Boogie … done. The Grateful Dead were the second band to have an album in my collection. The first was Creedence Clearwater Revival. To Creedence’s self-titled first album, I added The Dead’s Anthem of the Sun … immediately doubling my collection. Fuzzy then and still obscure – goodbye, goodbye, goodbye, goodbye. Although there were parts of the album I loved, it meandered a bit much – a Dead trait I was not quite ready for. So, I said goodbye, goodbye, goodbye to The Dead. I don’t think I even heard their next two releases – two of their best Aoxomoxoa and Live/Dead. Live/Dead remains one of the best live albums (well, if you ignore the 7m 49s of Feedback) … and definitely the best titled one. My “Dead” hiatus came to an end in 1970 when they released Workingman’s Dead. They had been hanging around with Crosby, Stills & Nash and the influence was pretty clear. Workingman’s Dead had 8 great tracks making up a great album – although for some of my mates it was perilously close to country. 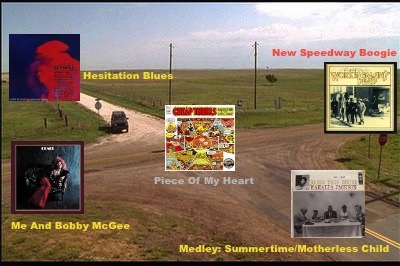 New Speedway Boogie is track 4, it was also on the B-side when Uncle John’s Band was released as a single. The Rolling Stones were the headline act. The Grateful Dead were scheduled to go on before them. The Dead refused to perform because of the escalating violence – apparently the final straw was hearing that Marty Balin (Jefferson Airplane) was knocked out by one of the Hells Angels. New Speedway Boogie was written by Robert Hunter (lyrics) & Jerry Garcia (music), supposedly as an answer to the Ralph J. Gleason’s indictment of the Altamont affair. It must have been written pretty quickly because apparently it was first played at the Fillmore (SF) on 20th December – just 2 weeks after Altamont. Other hand I’ve heard it said, it’s just as hard with the weight of lead. Now I don’t know but I been told, in the heat of the sun a man died of cold. Alas! What is this wonder malady? For heat of cold, for cold of heat, I dye. It wasn’t long after Workingman’s Dead that I wrote in and enrolled as a Dead Head. 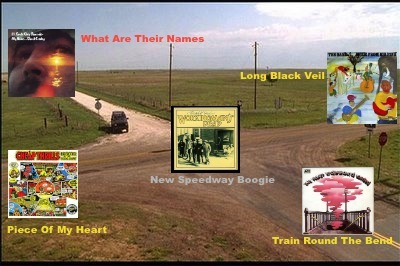 What do New Speedway Boogie and What Are Their Names have in common? 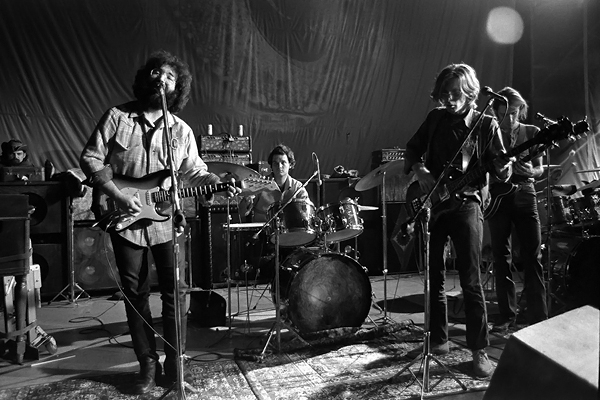 * Live Performance of New Speedway Boogie from 1970 – The Grateful Dead (6m 28s). * Cover version by Melbourne band Black Cab from their 2004 debut album, Altamont Diary. * Listen to a swag of live versions of New Speedway Boogie at Heady Versions – a website dedicated to finding the best versions of Grateful Dead songs. * Saturday Night At The Speedway subtitled Exposing Altamont in a TexturaI Analysis of the Grateful Dead’s “New Speedway Boogie” – a mouthful I know, but a very interesting essay. * San Francisco Chronicle clippings – Ralph J. Gleason’s columns from 1969 – 28th November and 5th, 12th, 18th December. Interesting reading from just before and just after Altamont. * Gimme Shelter (1h 31m 41s) – the film chronicles of the Rolling Stones 1969 US Tour which finished with their performance at Altamont. North: What Are Their Names – they’re back at the last stop. What Are Their Names comes from David Crosby’s 1971 solo album If I Could Only Remember My Name. Crosby had written (or co-written) some songs that were often on my turntable. Long Time Gone, Wooden Ships, Deja Vu, Almost Cut My Hair – from the albums Crosby, Stills & Nash & Deja Vu. Triad, from Jefferson Airplane’s Crown Of Creation was another favourite written by Crosby. And also the haunting Everybody’s Been Burned from The Byrds‘ 1967 album Younger Than Yesterday. I really like his songs. He’d lined up a veritable who’s who of West Coast psychedelia to play on the album. Most of The Grateful Dead, Grace Slick & Paul Kantner from Jefferson Airplane, his colleagues from CSNY, Joni Mitchell, Greg Rolie & Michael Shrieve from Santana, & David Frieberg from Quicksilver Messenger Service. My school lunch money would be much better saved and spent on this album … than on a couple of pies from the canteen. Unfortunately, my vinyl copy was lost sometime in the late 70’s or early 80’s. A time when I was lost and my collection was decimated through various household moves, break-ups, break-ins, and desperation sales. Crosby himself, was lost for an extended period around the same time and a bit later … ending up with a list of convictions and eventually spending some time in prison in Texas. He was in a dark place. By the mid-90’s he needed a liver transplant – primarily due to his immoderate approach to drug and alcohol consumption. He survived and will turn 72 in August this year. How do What Are Their Names & Ohio relate to each other? 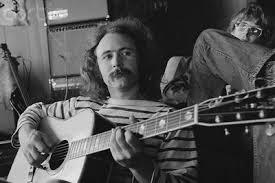 A song from Crosby, Stills, Nash & Young makes for an easy link to songs from any of the individual members of CSNY. 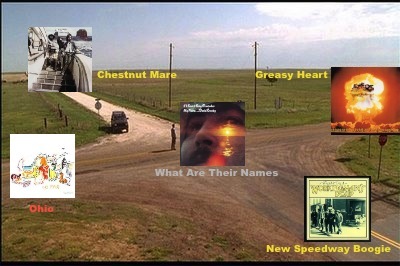 The 3 songs coming out of the Ohio crossroad were each selected because they have a political edge. What Are Their Names has continued political relevance today, being used as an unofficial anthem in the Occupy Wall Street leaderless resistance movement in late 2011. The song’s progression seems to match that of the Occupy movement – a soft, leaderless and loose movement of sound, connecting & threading its way to finally aggregate into a moving, powerful song that is all too brief … then petering out and fading away. * Personal Notes (about the album tracks) from Stephen Barncard, producer of If I Could Only Remember My Name. * During December 1970, around the time of recording If I Could Only Remember My Name, David Crosby, Jerry Garcia, Phil Lesh & Mickey Hart, played a few nights at The Matrix in San Francisco. It seems they were billed as Jerry Garcia & Friends but also called themselves David & The Dorks; Jerry & The Jets; or David & The Ding-A-Lings. This link takes you to 6 recordings from those sessions: David & The Dorks. And this one to a little information: Willard’s Wormholes. * What Are Their Names is the subject of a post in a great blog called Political Tunes – The Politics In Popular Songs.